This time of year while the weather is warming up, let’s not forget about what lurks in the long grass and within the undergrowth when we take our dogs out for their walks. Adder snakes are the only poisonous snake in the UK. Most bites are not generally fatal as long as you know the symptoms of a bite if your dog gets bitten and get your dog to a vet quickly or seek advice from your vet. However, it’s important to be aware of adders, how to avoid them and what you should do if your dog does get bitten. Adders generally don’t come into contact with us very often, but you know our dogs they like to be nosey and adventurous, and of course explore in the undergrowth where adders often hide out of the way, they are normally very shy of us humans and rarely bite us. Unfortunately we do not know what wildlife lurks in the grass or undergrowth when walking our dogs, so it’s advisable to keep your dog in plain sight at all times as much as you can, and if it’s an area where you have not walked before, it’s advisable to keep your dog on a lead. Most bites are naturally facial or forelimb with 70% of bites occurring between April and July, most commonly in the afternoon; this is likely when the adders are most active. It has been found that 97% of bitten dogs show symptoms; the remaining 3% are presumed to have received ‘dry bites’. All symptomatic dogs show local effects. In almost all cases we find swelling and oedema at the bite site, usually within two hours. Other possible symptoms including pain, bruising, bleeding and lameness. If venom is absorbed into the lymphatic system and then the systemic circulation it will cause a widespread inflammatory reaction leading to symptoms such as lethargy, fever, increased heart and respiratory rates, drooling, vomiting and a wobbly gait (ataxia). 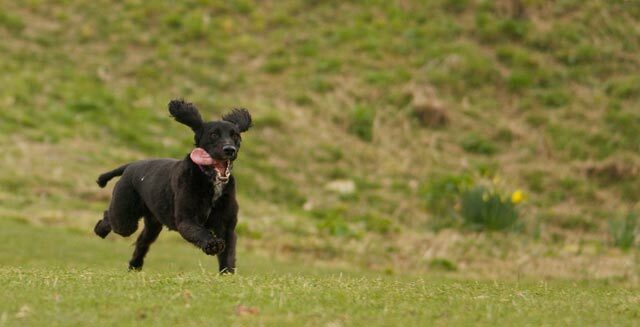 If you think your dog has been bitten by an Adder snake, first thing to try and do is keep yourself calm, and then keep your dog calm too, ring your vets for advice or take your dog to your vets if they are displaying any of the symptoms mentioned in this blog.